Jellyfish have been a natural part of the Bering Sea ecosystem for decades. In recent years, their population numbers in the region have dramatically increased. A research team funded by the National Science Foundation is in Nome to find out what the cause and implications might be. "There are certain fish that do feed on jellyfish: some of the salmon do, some other fish," said Mary Beth Decker, a research scientist from Yale University. "But in this part of the world, not this many fish feed on jellyfish." Decker is part of a three-person research team sailing to Slime Bank in the southern Bering Sea this week, north of the Alaska Peninsula. Having jellyfish around has minimal benefits. Few types of fish eat them, and these species aren't exactly edible for humans, either. When it comes to potential consequences of having more jellyfish, though, Decker said that's a different story. "They have impacts on the ecosystem because they feed on things that fish eat. They'll eat small crustaceans, zooplankton, that are prey for other seabirds and marine mammals. And also fish, both young fish and some older fish, like herring." 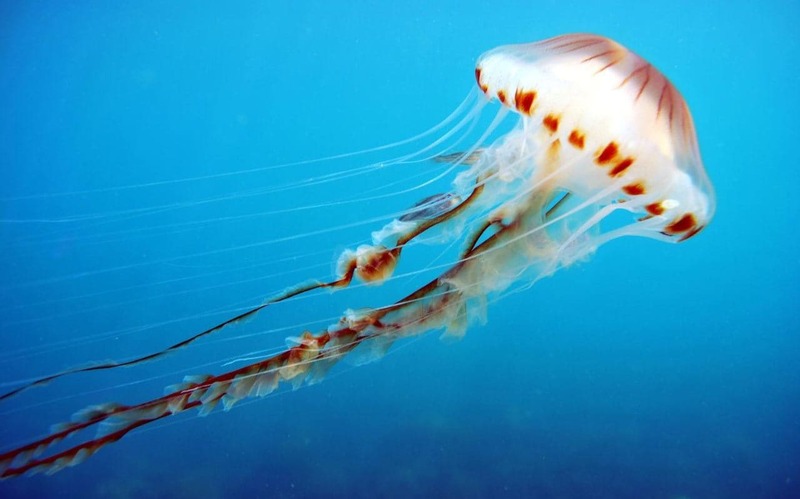 The National Marine Fisheries Service (NMFS) has been recording jellyfish numbers in the Bering Sea for the past 40 years using their trawls, according to Decker. The populations have fluctuated up and down throughout that period for multiple species of jellies, including larger ones like Pacific sea nettle, but Decker also points out there are smaller types that are harder to see or even catch in trawl nets. New Jersey teacher Joanna Chierici is onboard this research voyage to educate and reach out to groups about the types and numbers of jellyfish present in the Bering Sea. "I'm going to be there observing and taking part in the cruise," she said. Then I take that information and turn it around to classrooms, to community groups - basically any audience that I can find - and just make people more aware of what's going on with the jellyfish population in this area." In order to study jellyfish reproductive capacity and the potential for their populations to increase even more in the Bering Sea, the research team will be using small-mesh nets to capture plankton, a food source for jellyfish, along with the jellies themselves. Besides their scientific resources, Decker and the research team will also rely on human observations to track jellyfish: "I really appreciate how the people I've met up here, how they have their eyes on the water and are even looking for jellyfish," Decker said. "Frankly, I think a lot of people across the world I've spoken to don't care about jellyfish, but it's been refreshing for me to be here and hear people get excited about jellyfish." The research team will be on board the University of Alaska Fairbanks vessel Sikuliaq for the next couple weeks. You can follow along on their voyage and learn more about their findings on polartrec.com. Decker hopes to return to Nome and the Norton Sound region for more jellyfish research in the coming years.